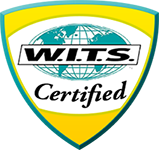 Complete 20 Continuing Education Credits with W.I.T.S. approved courses and at least .1 W.I.T.S. CEU program that has the IACET standard. The International Association of Continuing Education and Training is the highest quality worldwide standard for Continuing Education Unit. The other groups that we have approved for W.I.T.S. CEC’s are at our minimum standard. You can get other programs of interest from these approved vendors*. W.I.T.S. CEU/CEC courses have an additional membership discount as well. Special Note: Did you know that taking a certificate courses online or live assures you of W.I.T.S. CEU’s to renew too?! Check out a favorite specialty topic and expand your resume. View certifications.